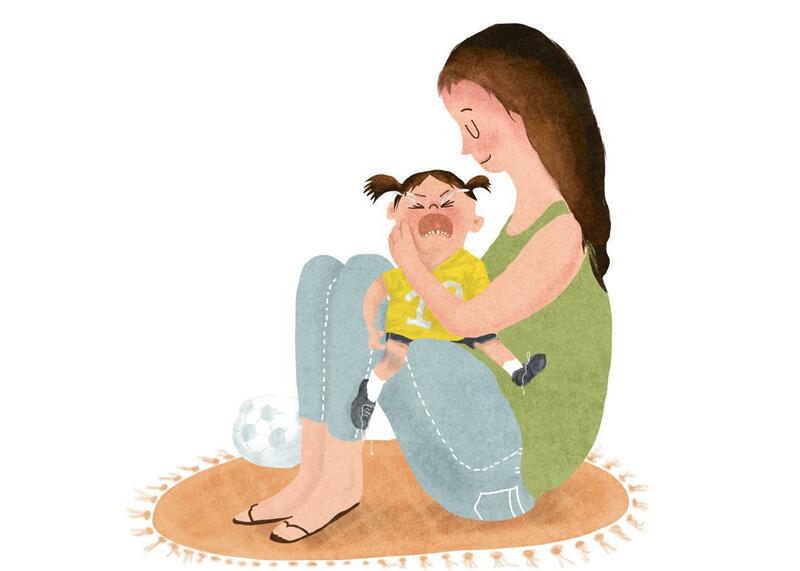 When to give crying kids comfort and when to tell them to buck up. 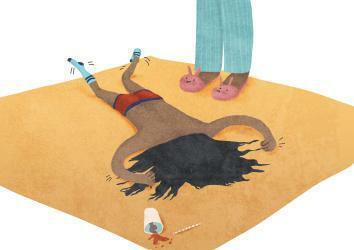 Are parents turning their kids into whiny weaklings by overconsoling them? He was, of course, fine. But the experience made me wonder about the best way to respond to a child’s incessant wails over a minor boo-boo. More generally, if you have a kid with “low distress tolerance,” as psychologists put it—a kid who cries at the tiniest mishap or demands help at the slightest frustration—what’s better: to soothe their sobs or to tell them to buck up and deal with it? Will we deny our kids the capacity for grit if we acknowledge their (over)reactions? Or will we scar them for life if we don’t? In recent months, I’ve seen a few internet tirades promoting the “buck up” approach. In a Scary Mommy blog post titled “The ‘Let Them Bleed’ Style of Parenting,” one mother argued that by keeping our kids safe and happy, we are creating “a generation of children who can’t think for themselves.” Another mom explained in a post that went viral on Patch that if you help kids out on the playground, they will “learn how to manipulate others into doing the hard work for them.” I’m all for promoting resilience, perseverance, and independence in my kids, and I agree helicopter parenting has to go, but I can’t help think about balance. Isn’t there an ideal middle ground here? Here’s some compelling evidence. Arizona State University child psychologist Nancy Eisenberg has found in multiple studies that parents who respond to their children’s emotions in a comforting manner have kids who are more socially well-adjusted than do parents who either tell their kids they are overreacting or who punish their kids for getting upset. “In general, being supportive—which can include comforting the kids, helping them to deal with their emotions, or helping them take care of the problem—tends to be related to better regulation in kids,” Eisenberg summarized over the phone. After observing a group of preschoolers, researchers involved in one study went so far as to conclude that when parents respond harshly to their kids’ negative emotions, their children “find it relatively difficult to behave in a socially competent manner.” How you react to your overreacting kid may even have lasting effects: A 2015 study found that male college undergraduates who said their mothers punished them as young kids when they got overly upset had more anger-management issues than undergrads whose moms had been supportive. (For girls, those who weren’t comforted as young kids had more anger issues only if they also weren’t close to their mothers in college.) Finally, in an oft-cited study published in 1983, psychologist Alan Sroufe and his colleagues reported that children who had secure relationships with their parents because their parents had been warm, nurturing, and responsive early in life were less clingy and demanding in preschool than were kids whose parents had been standoffish and unresponsive. It makes sense: The more certain kids are that someone’s got their back, the more confident and autonomous they can be. So the next time you feel embarrassed that your kid is having a meltdown in the middle of Target, remind yourself: She has to continue experiencing strong emotions in order to learn how to handle them. This outburst is good for her, even if it’s excruciating for you. Also keep in mind that when your kid freaks out over something small, that small thing may just have been a convenient trigger for a much-needed release. My son’s sob session over his stubbed toe happened right after arriving home from a long day at preschool. (When you’re 5, it takes a lot of effort to listen to teachers, sit still, and play nicely.) My son was tired and hungry, so when the tears started rolling, they didn’t stop. Instead of barking, “You’re fine,” I wish I had acknowledged that he was hurt and upset, given him a hug, and told him that it was OK if he needed a few minutes to cry. But, you may be wondering: If I always comfort and reassure my kids, how are they ever going to toughen up? This brings me to the next step in the process. Once you’ve acknowledged your child’s emotions, you can suggest ways for him to calm himself down and move on. Strategies are, of course, situation-dependent, but one useful approach is self-distraction. Klein, who runs a preschool, explains that when kids feel anxious after being dropped off, her teachers often acknowledge that the kids are upset and take them over to the window to look at the trees. (Note that this is not the same as handing over an iPad or turning on the TV—you want them to develop diversion skills on their own, rather than letting a device do it for them.) Another approach is to help your child problem-solve. If Liam is upset because he can’t find his Lovie, talk to him about where he should look next. Over time, he’ll learn to strategize and cope, and this will make him more socially competent. In a 1996 study, Eisenberg and her colleagues reported that 8- to 12-year-olds whose moms encouraged them to use problem-solving skills to address their problems were rated by their mothers, teachers, and the children themselves as having better social and coping skills than kids whose moms didn’t use this tactic. There’s one other crucial aspect to raising emotionally resilient kids: being a good model. This doesn’t require being even-keeled all the time. On the contrary, it can be helpful for kids to see you experience strong emotions and use your own coping strategies. So, sure, lose your temper from time to time (but—and I know this goes without saying—don’t be violent) and then say something like, “Gosh, I really got upset there. I think I need to take three deep breaths to calm myself down.” Or perhaps you explain why you got upset, which can be useful too. Kids learn how to emotionally navigate this crazy world by watching you—and it can be good for them if you occasionally scream or cry while you do it.